Any time a team suffers an elimination as calamitous as Spain's, there are usually all manner of recriminations and searching questions about the fundamental identity of the football nation and their philosophy… but there was no real need for it here. The reasons are as obvious as the frankly stupid handball committed by Gerard Pique to give away the penalty for Russia's only goal. 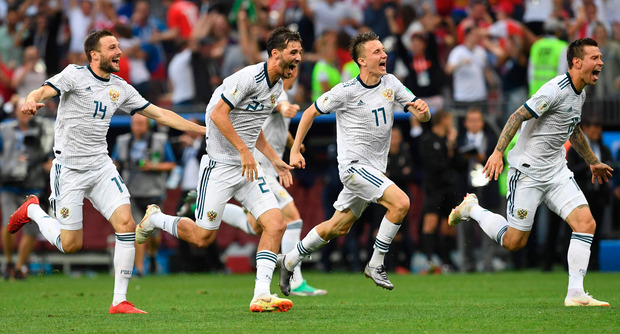 In the Luzhniki Stadium press room, Fernando Hierro balefully spoke for a while about what went wrong for Spain on this glorious day for the hosts, but it could have been summed up much more easily. It really comes down to the decision of the man that should have been in his place: Julen Lopetegui. Spain had long been building up to be the best side at this World Cup, and that was largely down to Lopetegui's nuanced and steady guidance of a truly gifted group of players over two years, only for his abrupt negotiations with Real Madrid - on the very eve of the tournament - to scuttle everything. It really is impossible to get away from that. Whatever the debate about whether top sides can self-manage, or how good a manager Lopetegui actually is, this just proved too profoundly huge a disruption too close to the World Cup. Everything was distorted. Everything stemmed from that, so many mistakes gradually building to this one massive mishap. How else could you describe elimination to a side as blatantly limited as this Russia? To go out to them is bad enough. To go out in the manner Spain did is what makes it so much worse. 1-0 up and in complete control, and then they stopped playing, apparently so sure of victory. That the end of their World Cup came as a consequence of a complacency that itself came from arrogance is so fitting, because it started with that battle to save face, and was really conditioned by it. That's what the showdown between federation president Luis Rubiales and Lopetegui amounted to. That's also why it's difficult to blame Rubiales, and then after that blame anyone like Hierro, They both were put into impossible positions, so the blame therefore primarily lies with Lopetegui, and with Real Madrid - an institution that see themselves as the club most closely aligned to the national side. Florentino Perez's move has ultimately seen Spain fall out of this World Cup far earlier than they should have. It's a massive opportunity wasted, and largely because Lopetegui couldn't more coldly or gracefully address an opportunity presented to him. That isn't to say there weren't so many less major elements of this World Cup that shouldn't still gall Spain. It just set the tone since the atmosphere around the side was never again right. David De Gea's head never seemed on point, as he needlessly re-opened a debate with the prime minister, before making that massive error against Portugal for Cristiano Ronaldo's second in that clash. It was thereafter as if the centre-halves never completely trusted him, and then didn't trust themselves enough to play their natural game. Both Sergio Ramos and Pique committed howlers that should have cost them more against Iran and Morocco, and it was blind luck that kept them top of the group - for the supposedly easier match against Russia. It just ended up one of the country's most tortuous World Cup nights, a return to the pre-2008 days when they so persistently underachieved. Hierro was involved in so many such games, and has now presided over more. He never asked for this job but, once there, never really adjusted it. 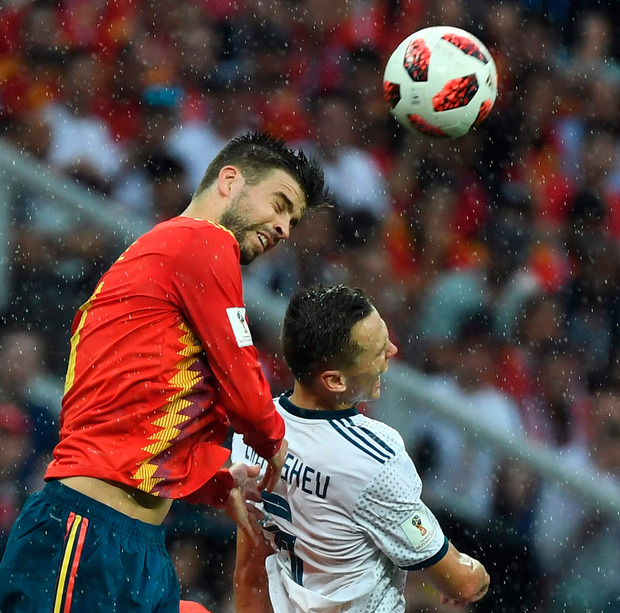 The De Gea situation only reflected a wider sense that Spain never found a team that fit, and he never seemed to strike the right balance for any of the games. Pace was introduced when it wasn't warranted, directness held off when it was required. 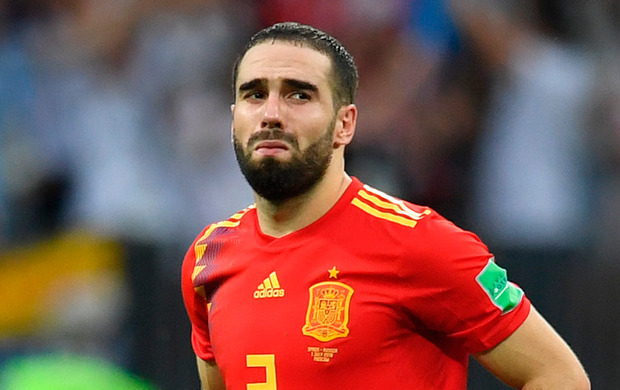 That was never more shown up than in the mind-numbing last hour of the defeat to Russia, when they kept pointlessly passing and passing and passing… only for Rodrigo and Iago Aspas to immediately prove they were brought on far too late. They had an impact, but something had already changed in the game. Something had already changed with Spain, in their mindsets, as if they were heading towards the inevitable and couldn't figure their way out. It shouldn't have been like this. There was again no need for it. It hadn't been that long before when they seemed to so presumptuously believe it was heading for a different inevitable conclusion. They were merely 1-0 up after Sergei Ignashevich's own goal, but were playing as if they were 3-0 up in the 80th minute. Then came one of the moments that summed up the game, long, long before it was decided. Shortly before the half-hour, Spain's principle playmaker in Isco had the ball in a promising position with five players ahead of him… only to bizarrely pass it back. Again, it was all so needless. It also needed to be stamped out. The problem was that, as bad as Russia had been and as much as that justified Spain's approach, the longer it went at 1-0 the greater the chance of a stroke of fortune that changed everything. That was precisely what happened. It wasn't stamped out because none of Spain's leaders stepped up, One of them, in Pique, made the mistake. The main one, in Lopetegui, had gone. It now instead feels like this was the inevitable conclusion of everything, the only possible solution to a situation where everything went wrong. It also feels like such a needless waste. It is all the more wasteful because, despite all of that, they were still on the easier side of the draw. They were by far the biggest name in that bracket, and still the best squad, with the forgiving nature of the path thereby having the potential to forgive any of these mistakes. Spain will not get that chance. Lopetegui will never get to know what it would have been like to manage his national team in a World Cup. They will all always be left wondering what might have been had it not come to that situation. They had a brilliant chance to win a second World Cup, and go down in history. This will instead go down in history for a very different reason. That is the only question that needs to be asked about Spain's calamitous World Cup, and it should bother them all for a very long time.